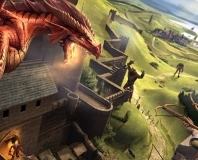 Atari has announced a new PC exclusive RPG, Neverwinter. Stormfront Studios, the developer of the original Neverwinter Nights, is officially closing up shop. Want to work for Bioware? Us too. If you fancy yourself a decent game designer and want to work with some of the industries best on an upcoming MMO, then you may just be interested in Bioware's latest offer.